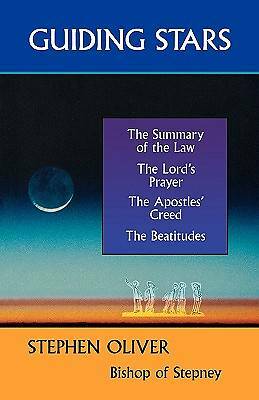 Stephen Oliver highlights four texts that provide the necessary basics for those beginning the journey of discipleship: Jesus' Summary of the Law, the Lord's Prayer, the Apostles' Creed and the Beatitudes. The importance of these 'guiding stars' as a resource for individuals, for local churches and for chaplains serving many different communities has been highlighted by the recent dramatic rise in the number of courses introducing Christianity to a wider world. But these texts are not only helpful to the newly converted, for discipleship and is a process, not a single event. They continue to give shape content and direction to what we learn and how we grow. They help us to think carefully about what we believe and to pray deeply about the meaning and practice of the Christian faith. As such, these guiding stars are eternal and invaluable aids towards enriching our relationship with God.